Stone Island is an Italian men’s fashion label based in the Modena region of northern Italy. The brand specializes in producing highly technical apparel with a strong focus on casual, everyday wear and functional, utilitarian principles. 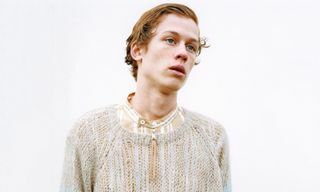 The brand was founded by Massimo Osti in 1982, seven years after launching his other label, C.P. 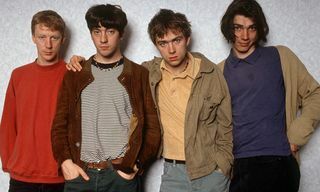 Company. In 1983, he was joined by Carlo Rivetti, and together the duo set out establishing a new approach to menswear design unlike anything that had come before. One of the brand’s earliest and most significant creations, commonly cited by Rivetti as a pivotal endeavors in the label’s early years, was a heavily-stonewashed tarpaulin-like fabric that combined durability with a clean aesthetic and versatility. 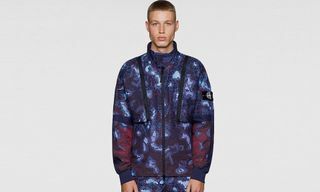 The fabric was named Tela Stella, and was used to create a range of seven jackets in six colors that formed the foundation of Stone Island’s product offer. 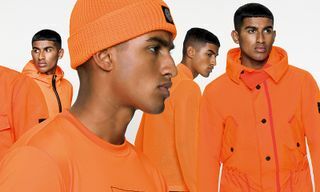 With its unique blend of fashion-forward style and uncompromised everyday appeal, Stone Island proved incredibly popular with style-savvy young men across Europe. 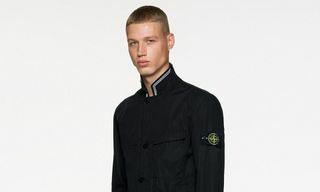 As the “terrace casual” culture grew in the United Kingdom and in other European countries, Stone Island (alongside C.P. Company) became a status symbol amongst football fans who travelled to away matches up and down the country and across the continent. 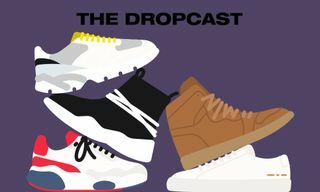 The brand’s comparatively high prices and “tough” aesthetic became synonymous with “football hooliganism” and firms, an association that endures today. 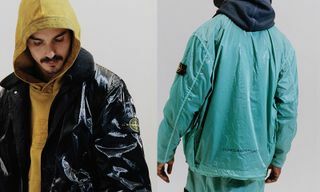 It’s this deep cultural relevance that has seen Stone Island experience consistently strong popularity in Europe for over thirty years, despite the brand barely having any impact in the United States until very recently. 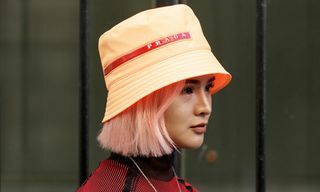 In the same way that fashion enthusiasts might collect their own personal archives of runway and couture pieces, many Stone Island fans avidly collect iconic pieces from the brand’s history, further increasing the brand’s mythos. Beyond Tela Stella, the brand has continued throughout the years to experiment in creating pioneer fabrics and techniques. 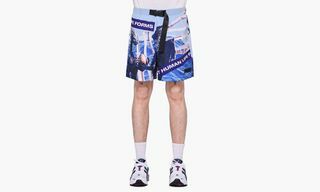 Examples include bonding stainless steel with textiles to create durable reflective fabrics, and so-called “Ice” jackets which use heat-sensitive fabrics that change color with the wearer’s body temperature. Stone Island’s signature mark is a black, green and yellow embroidered patch featuring the iconic “Compass” logo, usually found on the left sleeve of jackets and sweaters, attached by two buttons. 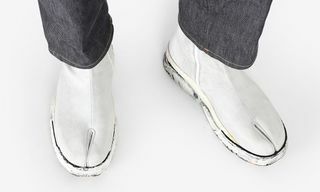 In the mid-‘90s, Massimo Osti departed from the brand and was replaced by British designer Paul Harvey, who led the direction of the brand until 2008. From that point onwards, Stone Island has been designed by multiple designers, pioneering a collaborative approach to creation that encapsulates the original ethos of the Stone Island brand. In recent years, several incidents have led to Stone Island experiencing increased popularity in America. A series of collaborations with New York streetwear label Supreme introduced the brand to a new audience of young Americans across the globe, whilst numerous rappers have made the brand part of their regular rotation, most notably Drake, such an enthusiastic ambassador for the brand that he even had a chain made of the Stone Island Compass logo.